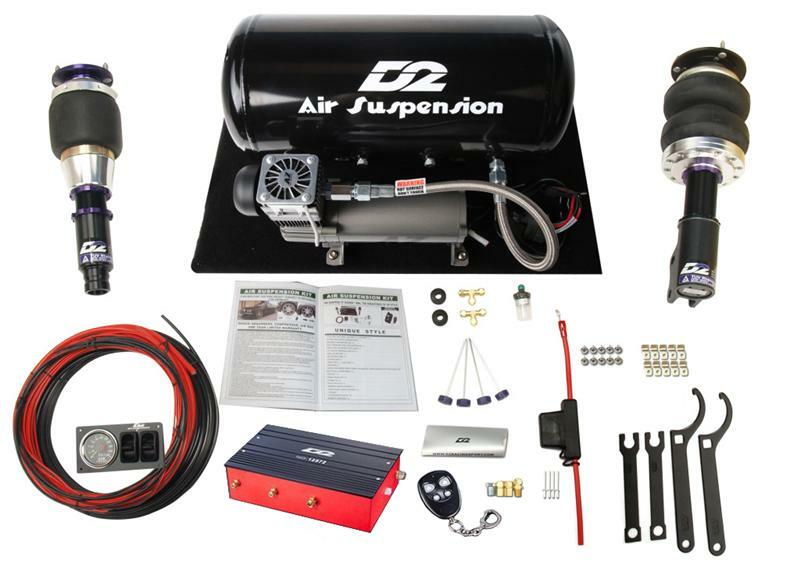 D2 Air Suspension System - Deluxe Kit - Dezod Motorsports Inc - Home of the automotive performance enthusiast since 2002. 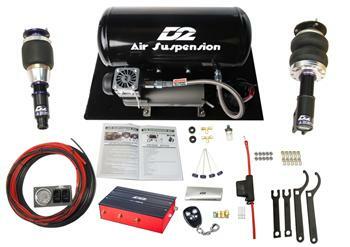 The Deluxe Air Kit is the next step up in air suspension in the D2 line up. It includes the essentials the Basic Kit provides, but also allows 2-way control via remote control to adjust the air settings. With this kit you can adjust your ride height while inside your car or outside o the car with the compact design wireless keychain remote control. 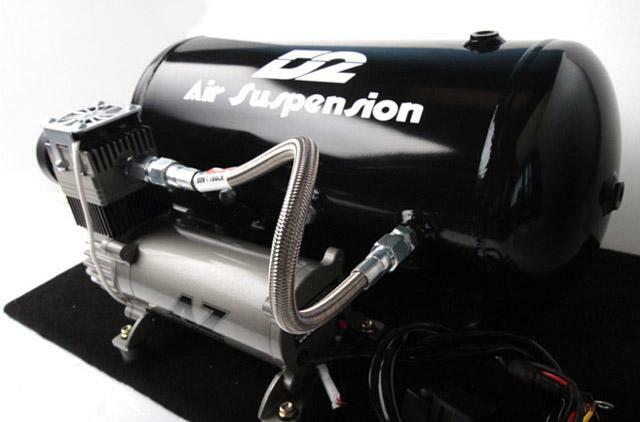 Air Suspension is ideal for the car enthusiasts looking for the best of both worlds – the ability to have a slammed car look and raise it back to stock height when needed for normal everyday driving. The shocks provided with the kit have 36 levels of damping adjustment to allow you to further fine tune the ride for what you’re looking in your driving experience.